The penthouse. All photos courtesy of The James Chicago. 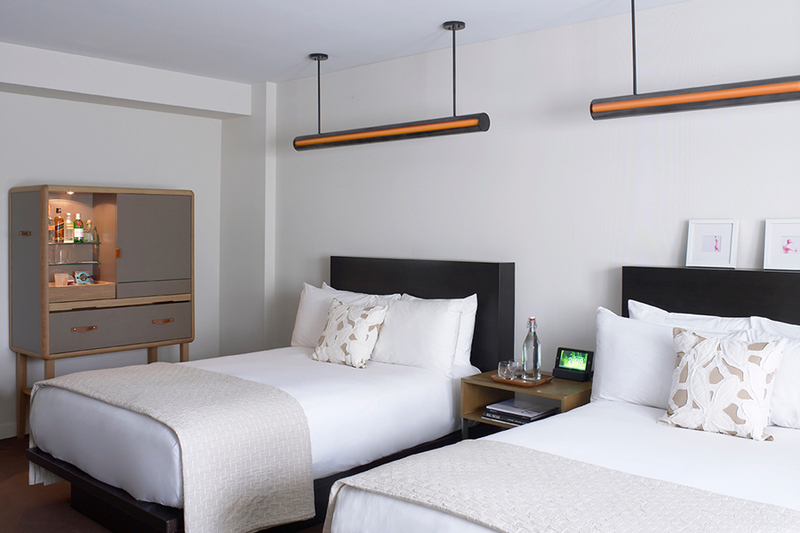 One of the city's original boutique hotels, beckons travelers looking for a well-appointed stay steps from the action on Michigan Avenue. When downtown gets too hectic, guests here have the option of retreating to polished rooms or jumping on mass transit for the hip neighborhoods outside Chicago's bustling center. 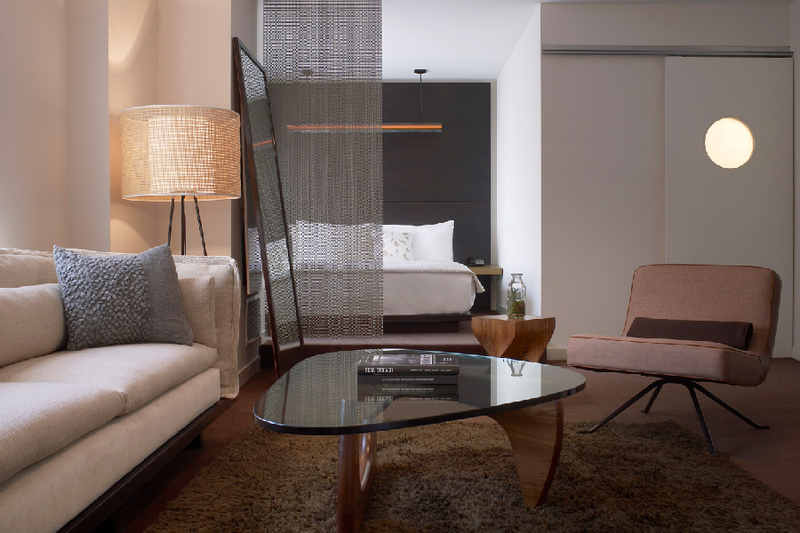 Vibe: A swanky, upmarket, residential retreat right off the Magnificent Mile. 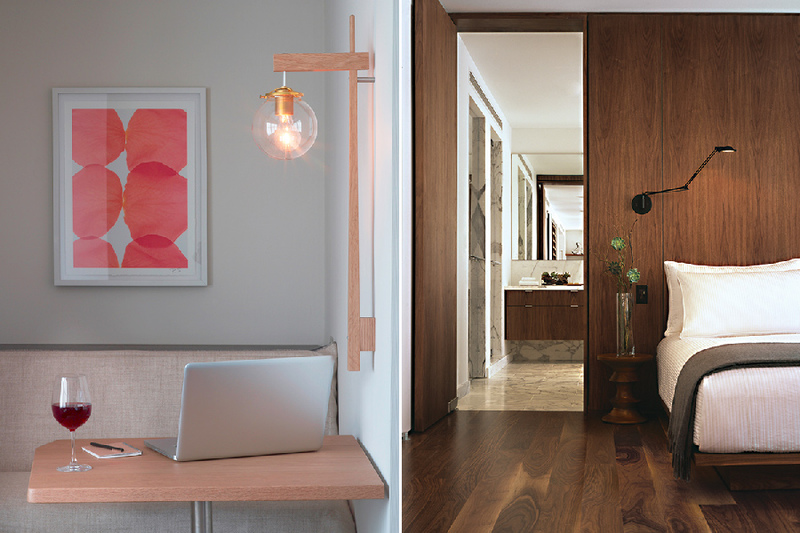 Standout Detail: Central enough to feel exciting, tucked away enough to feel relaxing. This Place Is Perfect For: Discerning travelers who want to do it all. Rooms: There are 297 contemporary rooms dressed in comforting dark-wood tones and commissioned artworks, locally inspired mini-bars, full-length mirrors, dimmable lighting, triple-filtered water systems, eco-friendly Keetsa pillows, SMART TVs, and an in-room app. On Site: A 24-hour gym, concierge, and room service; laundry, dry cleaning, and shoe shine services; complimentary WiFi, a state-of-the-art meeting room, and a small spa. Food + Drink: Primehouse, a renowned city steakhouse, has an on-site salt-tiled aging room, a full-service cocktail bar, a wine vault for private events, and a seasonal patio for al fresco dining. 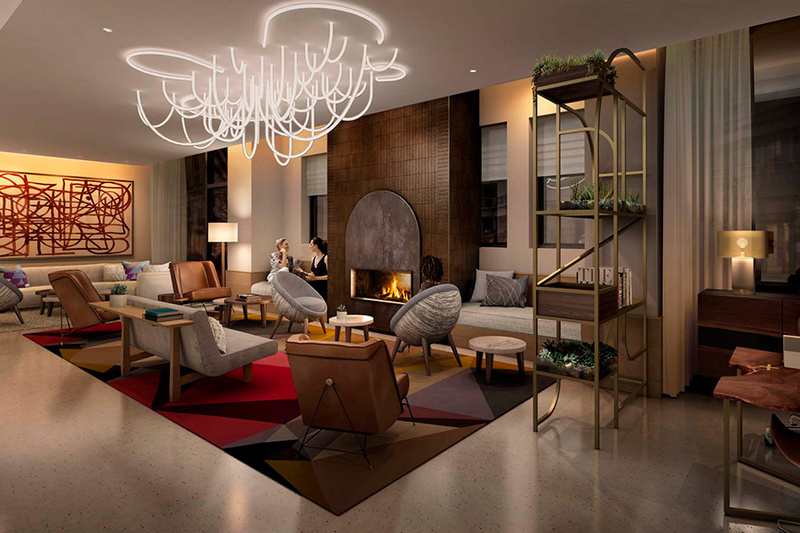 Highlights: The redesigned lobby incorporates work desks, a fireplace, and a social gathering space called The James Club, as well as the hotel's eclectic local and international art collection. Good to Know: The hotel can accommodate pets, though charges apply. From your digs on the corner of Rush and Ontario, head to for stroll and for a brush with some of the city's most famed artworks — Anish Kapoor's Cloud Gate demands an obligatory photo, and the collection at deserves a few hours. 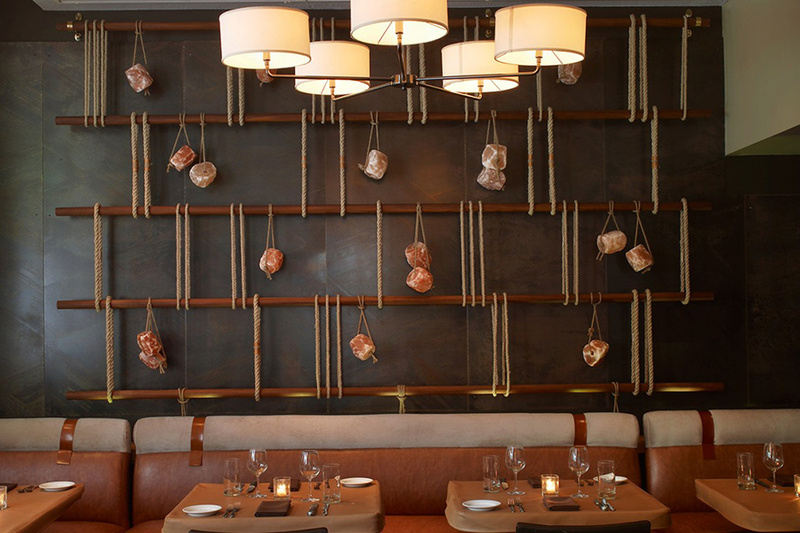 Hit the high-end shops on Michigan, then pull up a chair at for a heavenly porcine experience. Otherwise, escape the loop and explore the cool neighborhoods: Wicker Park, Bucktown, and West Town. , , and make for great stops when hunger strikes.